Ashapops are puffed and flavored Water Lily Seeds. They have the airy texture of puffed wheat cereal and the savory spices of traditional Indian flavors. Snacks like these are common in India, but are rarely seen in America. Jai’s trying to change that with his startup. 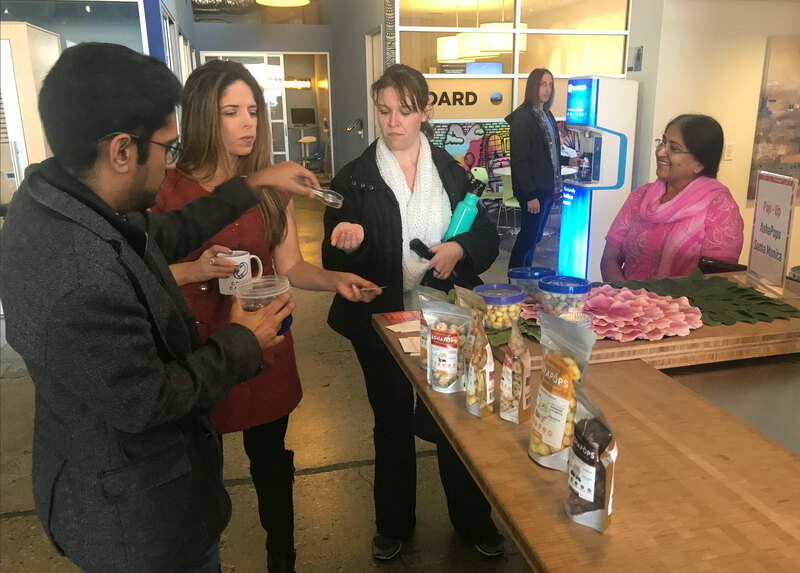 The company takes its name from Jai’s mother, Asha, who was on hand during the happy hour, and serves as the company’s chief culinary officer. She and Jai make the snacks in Downtown LA in the tradition Ayurveda, the Indian healing science.